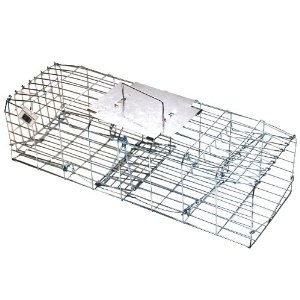 Squirrel Trap - Humane Live Catch Cage Trap is a no harm method to catch and trap squirrels outside in the garden or inside in the loft or attic. Squirrels may be digging up your plants or eating the bird food. When squirrels find their way into your loft, attic or roof space this can be a fire hazard as they may chew through electrical wiring.